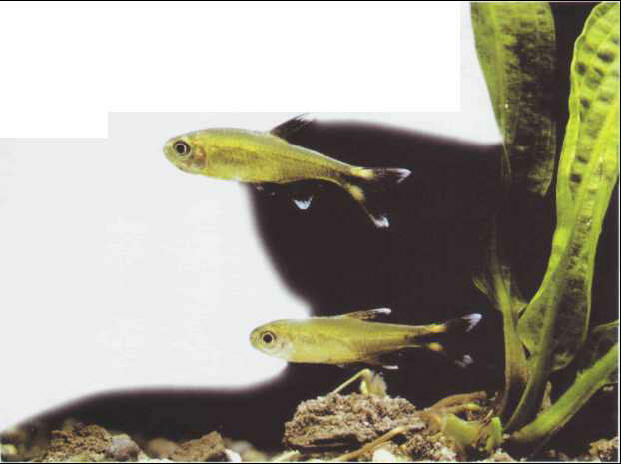 The silver-tipped tetra can be distinguished from other Characins by the absence of an adipose fin. It lives in shoals in acidic, densely planted conditions. Size: 4-5 cm.